I am writing on behalf of the Battlefields Trust, a national charity dedicated to the preservation, interpretation and presentation of battlefields as historical and educational resources (see www.battlefieldstrust.com), to object to the above planning application. As you know the proposed development site is on the nationally important Historic England designated battlefield of Northampton. 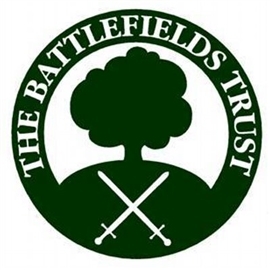 The Battlefields Trust is concerned that the battlefield Conservation Management Plan (CMP) adopted by Northampton Borough Council last year has not been properly considered in the application. The Trust understood that the conservation management plan would, on adoption by the Council following public consultation, become part of the locally agreed planning framework. This appears to have happened as the CMP is found in the planning section of the Northampton Borough Council website. Whilst the CMP is mentioned in the planning application, its significance is not recognised. Section 11 of the CMP, which deals with the planning implications, indicates that as a result of the plan Northampton Borough Council should 'Resist any further development within the Registered battlefield or which may adversely affect the setting of this important landscape and built features'. By adopting this plan the Council indicated its support for this measure and on this basis the Trust judges it should reject the application given that it is contrary to this recommendation. Even if Council planning officers judged that the CMP did not apply in the case of this application (though we would struggle to understand why this might be the case), the fact that the Council is the landlord of the site must mean it has the landlord's prerogative to refuse to allow the development to proceed, regardless of any planning judgements. Given the Council's commitment to the CMP expressed by its adoption, the Battlefields Trust is surprised and disappointed that any planning application has been allowed by the Council. 'Where a development proposal will lead to less than substantial harm to the significance of a designated heritage asset, this harm should be weighed against the public benefits of the proposal, including securing its optimum viable use'. However the planning application does not identify any public benefits from the proposed development. As no public benefits have been identified then the harm to the battlefield caused by the development must outweigh them and on this basis alone the application should be rejected. The planning application suggests that there were no significant archaeological finds identified amongst the top soil scraped from the site in January 2015. The archaeological report on that work indicates, to the contrary, that a broach, that may have been lost in the battle, and lead shot which might yet prove to be from the battle were found. On the latter, the work about to commence at Barnet may well help in confirming this and it seems prudent to reject this application until that work has concluded. The Battlefields Trust is also concerned that agreement to this application may encourage others at Northampton of at other registered battlefields to undertake similar ground works without permission or adequate archaeological supervision. This would risk damage to important battlefield sites nationwide. By rejecting the application, Northampton Borough Council would be sending a strong message that unapproved ground works will not be rewarded by retrospective planning permission. Finally the Trust is concerned that the application appears to assume no further archaeological work is necessary in advance of the proposed development. Given the CMP highlights the importance of finding the Lancastrian field fortifications in locating the battlefield more precisely, geophysical survey work needs to be undertaken to establish that these defences are not within the proposed area of development.